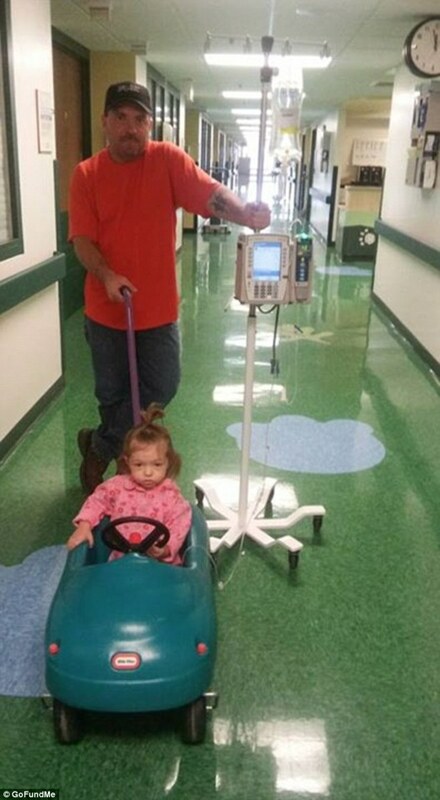 Man, this guy needs an award for going above and beyond to save this little girl from the brink of death. He can honestly be called this young child’s guardian angel and she is so very blessed to have him. The girl’s mother, Tracy Ineichen, was imprisoned at the Blount County Detention Center at the time, WBIR reports. She became concerned when her mother, Annette Ineichen, didn’t show up for visitation and she hadn’t heard from her for a week. Anthony Waldo, Tracy’s boyfriend, said she called him to ask if he could go to the house to check on her daughter, Brier Ineichen. “I got a phone call from Tracy saying something’s wrong … something’s very wrong,” Waldo told WVLT. According to WBIR, the police report stated that the glass door to the house was locked, but Waldo could see the toddler in her crib “with her arms out, crying for attention.” Several dogs were running around the house as well. He called police, then the baby’s mother. When he went to look for the child’s grandmother, he noticed that something was preventing the bathroom door from opening all the way. Waldo said he could see an arm or leg on the floor through the small crack. A GoFundMe account has been set up to help care for Brier and to cover Annette’s funeral expenses. Waldo said he has been at the child’s bedside as she recovers at the hospital.